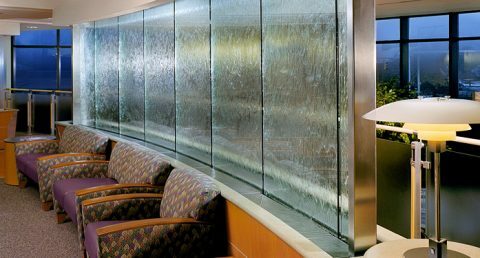 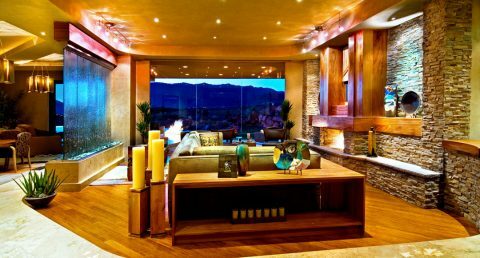 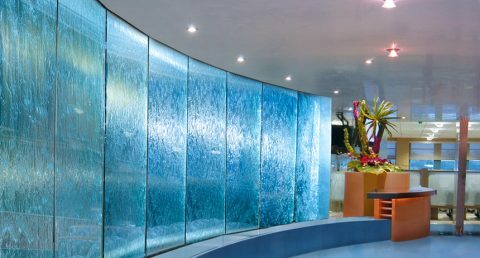 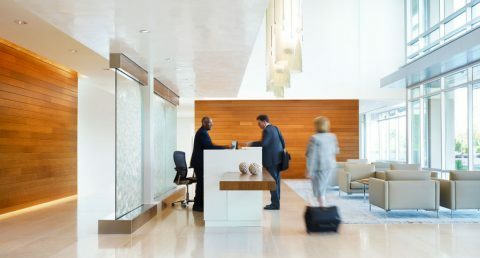 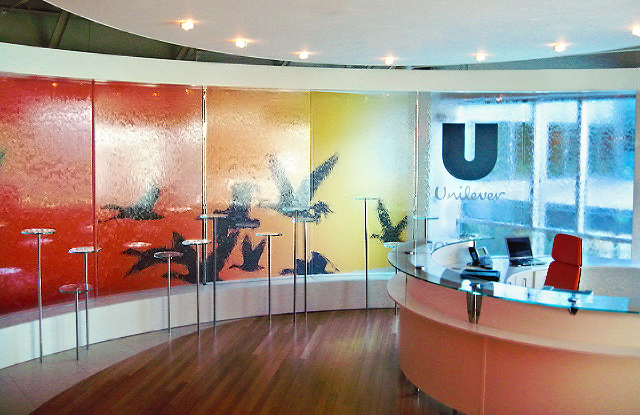 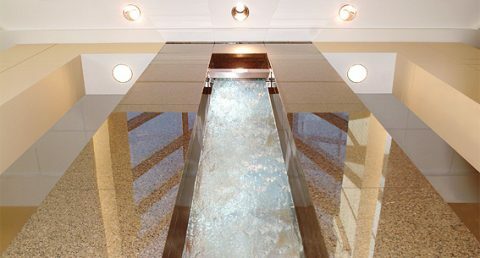 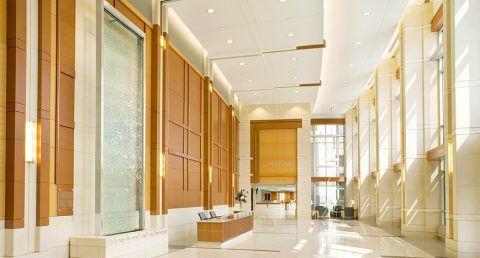 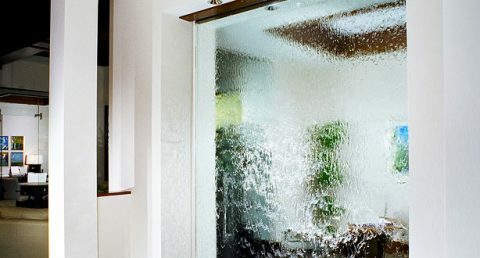 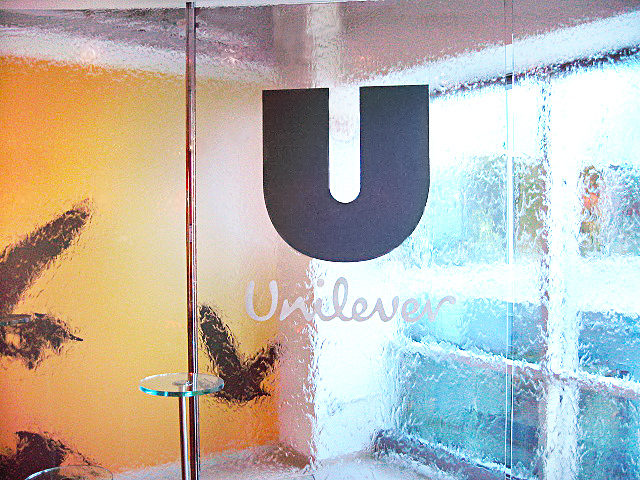 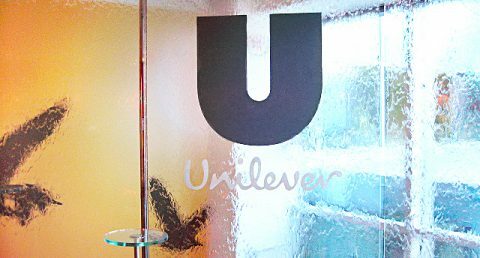 This 28′ long by 12′ high clear glass water wall was designed with Miller Zell and architect Randy E. Pimsler for Unilever. 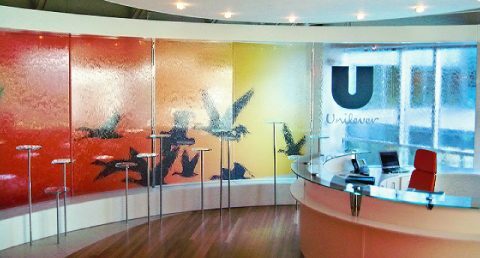 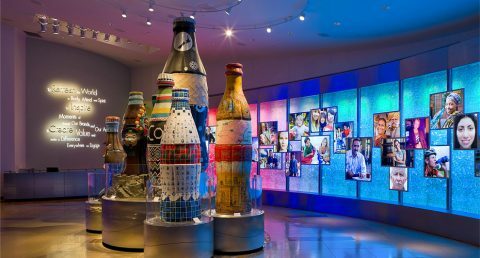 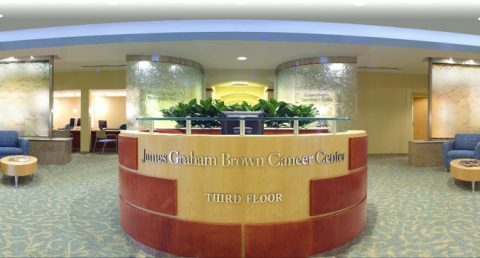 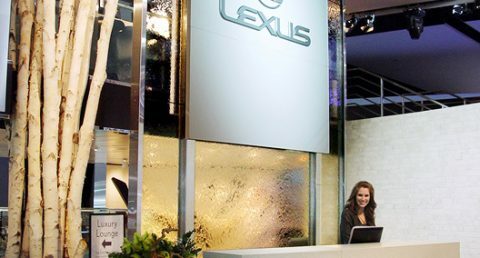 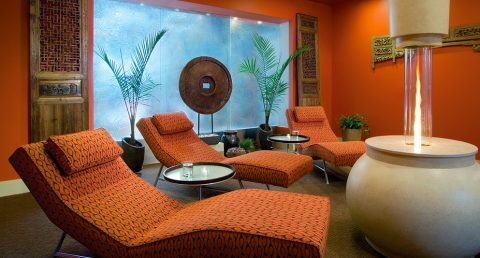 Comprised of multiple segmented glass panels along a curved, powder coated stainless steel frame, the surface is accentuated by a company logo and a vibrant mural backdrop. 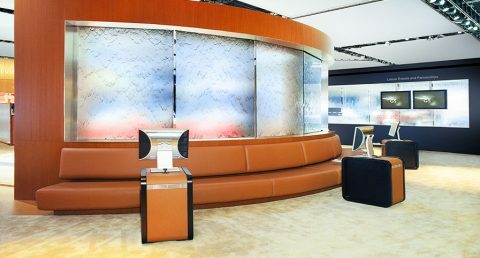 The product display area was completed with custom acrylic and stainless steel stands.